A Bucktown man with a long, violent criminal record—including attempted murder—has been sentenced to 10 years in prison for robbing a woman in Uptown and trying to disarm a police officer who intervened. Darnell Murphy, 54, pleaded guilty to Class X felony attempted robbery and Class X felony disarming of a police officer. Judge Dennis Porter ordered Murphy’s sentences to run concurrently and gave him 678 days credit for time served while awaiting trial. Murphy is scheduled to be paroled on October 8, 2021. 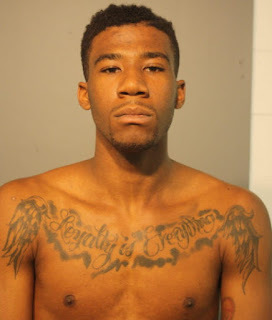 In October 2016, 19th District officers saw a robbery unfold in the 4700 block of North Broadway and immediately went to assist the 22-year-old victim. Murphy attempted to disarm one of the approaching officers and then fled the scene. The officers chased Murphy into an alley where they discharged pepper spray to subdue him. Two cops suffered injuries during the arrest, police said. Other officers recovered a knife that Murphy used in the robbery, prosecutors said. A phone that he had in his hand at the time of his arrest belonged to the victim, police said. State records show that Murphy was released from prison in six months before the robbery after he served four years of an eight-year sentence for burglary. His previous prison sentences include 33 years for murder-intent to kill in 1989; four years for burglary in 1989; ten years for armed robbery in 1989; six years for burglary in 1986; and a pair of four-year sentences for burglaries in 1982. 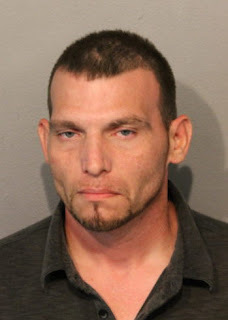 • Matthew Becerra has received two year’s probation for firing an unloaded handgun at the head of Streeterville high-rise security guard in a suicide attempt on June 18th. Becerra told authorities that he was depressed and hoped that the security guard would fatally shoot him during the incident. Instead, the unarmed guard tackled Becerra and held him for police. Becerra was also ordered to perform 10 days community service and was credited for 82 days of time served as part of his plea deal. He will be required to register as a gun offender. As part of the agreement, prosecutors agreed to drop several felonies including being a felon in possession of a firearm and aggravated unlawful use of a weapon with prior convictions. Police said twice-convicted felon Martise Lewis ran two stop signs and crashed his car when they tried to pull him over in Uptown on November 19, 2017. Lewis fled the scene on foot and was later apprehended. 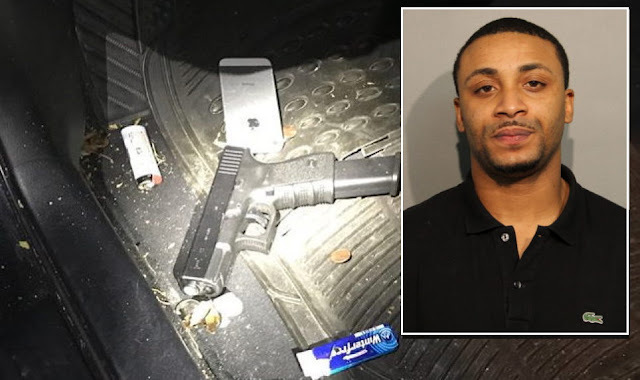 Officers reported finding cocaine, $2,317 cash, a ski mask, and a 40-caliber handgun with 22 rounds of ammunition on the driver’s floorboard of his car. Lewis has now pleaded guilty to one count of being an armed habitual criminal. Judge Angela Petrone sentenced him to six years in prison with 301 days credit for time served. Lewis, who had a previous conviction for robbing a victim over the age of sixty in 2005, is scheduled to be released on December 16th, 2022. 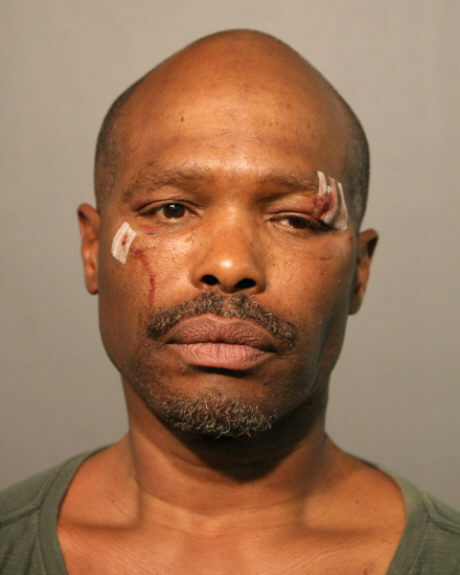 • An Avalon Park man who was accused of firing a gun at two people in Uptown in November 2016 has pleaded guilty to Class X felony aggravated discharge of a firearm. Judge Timothy Joyce sentenced Samuel Ogunleye, 22, to five years in prison with 668 days of credit for time served while awaiting trial. A sixteen-year-old juvenile was arrested in the same incident after he shot at the two victims as well as at police officers in the 4500 block of North Racine. The outcome of the teen’s court case is not available because he is a juvenile. Ogunleye’s plea deal required prosecutors to drop eight other felony charges including armed habitual criminal, being a felon in possession of a weapon, and aggravated unlawful use of a weapon. He will be paroled on January 26, 2021. Become a CWBChicago subscriber OR donate $49 or more to receive our members-only "Judges Scorecard" for the current election cycle. The scorecard reviews every criminal court judge who is currently up for election or retention. Click here!